Shuichi Sasaki of Japan became the 2014 World Aeropress Champion yesterday. The dish he utilized ended up being just published online from the official WAC internet site; by contrasting it on winning meals of past many years, let’s see whenever we find anything interesting! We've written about the planet Aeropress Championships before: an unorthodox competitors for a not likely product (when you yourself have a pursuit when you look at the Aeropress, we strongly recommend you look at this tale from Priceonomics). Although the WACs have now been held since 2008, there are not any documents associated with winning dish from that 12 months. But since that time, we have the winning recipes on record—so let’s see when we can chart the development of a great method to brew your Aeropress coffee! The first thing that becomes immediately obvious reading these meals is heat: they all are uniformly low, ranging from 75c (2009) to 85c (2012); in addition, they all use the standard paper filters, but—and this is really important—have taken the full time to wash them. This season, however, a fresh touch that would become a mainstay ended up being introduced: pushing lightly or gradually, and preventing ahead of the characteristic dry wheezing sound kicks in. All subsequent WAC winners have pressed softly, and utilized less coffee. 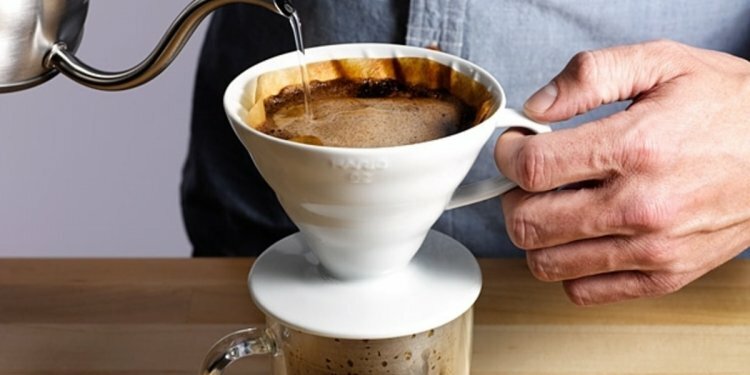 Jeff Verellen, having won twice (in 2011 and 2013) shifted your competition back again to the conventional, right-side up technique, and introduced just one more strategy, adjusted from pour overs: blooming. This implies including handful of liquid very first, to saturate the coffee grounds before incorporating the bulk of the brewing water. All subsequent champions have set-aside time for blooming. He also popularised the means of leaving a good little bit of water kept when you look at the Aeropress (~50g), an evolution of this smooth press. Utilize ~250ml of water at a lesser than normal temperature, around 80c. Electric kettles created mostly with tea in mind—with a heat controller—will be great with this. Use 16.5-17g coffee surface somewhat coarser than filter (between a percolator and french hit, toward perculator). Make use of the stock report filters—but rinse all of them really! Utilize the Aeropress right-side up. Use a scale once you brew for reliability. Include 40-50g of liquid to bloom the coffee grounds for 25-40 moments. Include all of those other liquid gradually. Press gently over an extended period of time, 30-75 moments. Leave 40-50g of liquid into the Aeropress. Aim for a complete removal time (including bloom) of 90-100 moments. For instance: 40 2nd bloom, 30 2nd pouring, 30 second pushing (like Jeff); or, 25 second bloom, instant pour regarding the remaining portion of the liquid, accompanied by a long press of 75 moments (like Shuichi). nearly as straightforward as you might-be making all of them today, nevertheless the outcomes speak for themselves. This is the simplest way we understand to make an Aeropress. 19.5-20g coffee, 200ml water at 75c, ground a little coarser than filter. Rinsed regular filter, Aeropress upside-down. Secure the filter and change after 10 moments (total contact time ~15 moments). 20g coffee, liquid at ~80c almost on top (~250+ml), ground slightly finer than filter. Include the water, pouring nearly toward top. Slowly press the coffee through – preventing before you notice the atmosphere wheeze. 17g coffee, 270ml smooth mineral liquid at 80c, floor coarsely (small coarser than paper filter). Rinsed typical filter, Aeropress in regular place. Splash a bit of the water on filter and right after throw-in the newly ground coffee, on let the base to wet and expand somewhat. Wet the coffee by dripping or pouring very gradually all of the grounds, about 40 grms. Bloom for ~30 moments. Very gradually pouring the remainder liquid, make an effort to re-wet the coffee completely once again, note that the lands do not separate from the liquid, this could be done using good kettle with tiny nozzle. Help about 2/4th of rest of the liquid trough, aided by the provided piston, extremely gently. Take away the press in addition to what`s kept, about 50 grms, and discard. 18.3g coffee, 250ml liquid at 85c, floor coarsely. 40 grams of liquid at 85c for the bloom. Bloom for ~30 seconds. Pour other water and hit, not pushing all the way through. 17g coffee, 50ml liquid at 83c, 215ml at 79c, Uber grinder at 5.75 (small coarser than paper filter). 50 grams of liquid at 83c when it comes to bloom. Bloom for 40s. Nicely wet all reasons and softly agitate keeping the Aeropress by shaking it quite around. Really slowly include 215 grams of liquid at 79c over about 30 moments. Press extremely gently for about 30 seconds. Keep about 50 gram slurry within the Aeropress and discard.